Multi Standard Framework Management: Actions speak louder then words! Leusden, March 17th 2017 – Mexon Technology announces Wendia POB 1.8 release. Stability, performance and design are at the heart of Wendia’s brand new POB (Point of Business) release. With business software user acceptance and productivity highly depend on a modern and user-friendly interface. With this latest release of POB 1.8, Wendia is introducing an improved, state of the art Graphical User Interface Design with less animations ensuring an improvement of the overall performance. POB 1.8 is an effective and ergonomic solution that will help organizations to increase productivity, improve user acceptance and the automation of tasks. The latest release of Wendia’s toolsuite is not only characterized by improved stability and performance, it also includes a large number of different customer RFC’s (Request for Change). 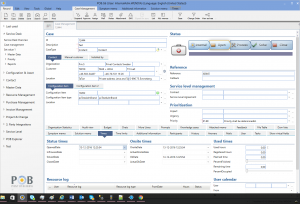 As for example enhancements of POB’s web client like the integration of controls, the display of graphical workflows or password strength validation. If you are interested in the details of the latest version of POB and the release notes, you can contact us at support@mexontechnology.com.